Kim is the Regional Business Manager for South Sound Physical & Hand Therapy and also sits on the Capital City Marathon board. 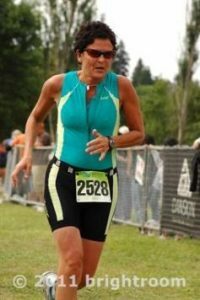 She completed her first sprint distance triathlon in 2009, after undergoing extensive rehab for a multi-level cervical fusion (read about it here). The experience was so meaningful that it stirred in her a passion for others to experience triathlon for the first time. Kim brings an expertise in strategic management, as well as a talent to articulate vision and engage with people, to the Black Hills Triathlon team. She is a USA Triathlon Certified Race Director. You may contact her directly at: blackhillstriathlon@gmail.com or 360-888-0501. For the past 26 years, Bill has worked as a high rise journeyman window cleaner, and is credited as the catalyst to bringing the Black Hills Triathlon back to the Greater Olympia area. It was through his vision, and tenacity, that we all came together to dream and plan our race. 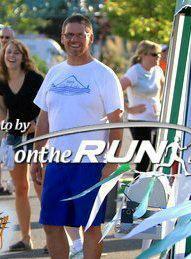 Bill is the past President of Club Oly Running , where he served as Race Director for numerous races. He has competed in several running and triathlon races, including Half Ironman and Leadman events. He has a passion for course development and race growth, which has been invaluable to the BHT team. Bill has helped foster a commitment to fitness in many people and considers volunteering at races an honor. Christie is an ACE Certified Personal Trainer and Certified Group Fitness Instructor. She is also the Board President for the Boys and Girls Club of Thurston County. She completed her first Olympic Distance triathlon in 2005 and has competed in more than 40 endurance races, including several Ironman competitions, and both the New York and Boston Marathons (read about Christie’s race history here). Christie is also a USA Triathlon Certified Race Director and brings an intimate awareness of race management and endurance training to the Black Hills Triathlon team. She may be reached atCAgtarap@comcast.net. Carrington is an Orthopaedic Physician Assistant with Olympia Orthopaedic Associates, and an avid endurance athlete. He completed his first triathlon in 2005 and has since finished three Ironman and two half Ironman races, as well as numerous others including both the Boston and New York marathons. As an experienced competitor, Carrington was able to coordinate the BHT bike course from the perspective of an athlete. He remains zealous about growing as an endurance athlete and seeing others excel in triathlon.